Ufone is commonly known as the best company to announce budget offers for everyone. Ufone looks after each class of its users and provides best possible packages of call and internet for enhancing convenience. Today, Ufone has released a set of discontinued 3G packages. 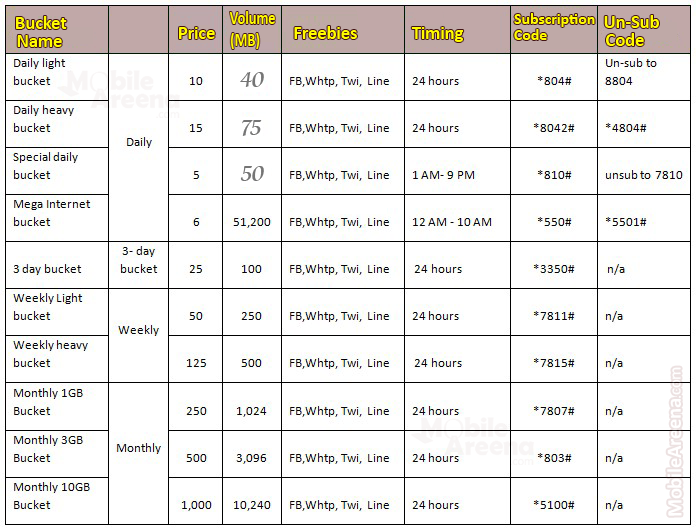 The company has announced almost 10 new 3G packages. It also removed the speed based variants of erstwhile packages and added several new features to the 3G service. Ufone’s newly announced 3G packages bring daily-based, three-day-based, weekly-based and monthly-based buckets with data limits up to 10GB. Another interesting news here is that the company offering famous social apps for free with all these buckets. The free social apps include Facebook, Whatsapp, Twitter & Line. Remember through this service each bucket subscriber will be given freebies in terms of free usage on Facebook, Whatsapp, Twitter & Line, along with the volume of data bucket. - Default tariff will be Rs.20 for the first MB and the user will get next 19 MBs free, then will get charged for the 21st MB and will get the next 19 MBs free and so on. - Default throughput for the entire day will be 1 Mbps. - Volume accumulator will reset at 00:00 hrs every day as it happens in current scenario. - After the consumption of bucket volume, charging will be done according to the default tariff. - All daily internet buckets are recursive, buckets can be unsubscribed by dialing respective un-subscription codes. - Multiple subscriptions of the same bucket is not allowed. - Buckets subscribers will get maximum available speed. Actual Internet speed will depend on multiple factors such as location, time, device, web pages accessed, number of subscribers etc.